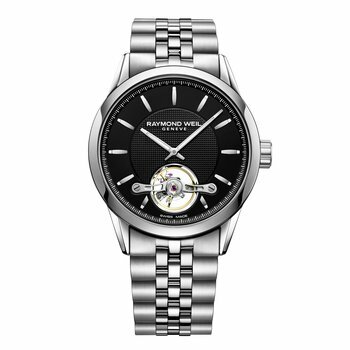 This freelancer calibre RW1212 features a sleek 42.5mm stainless steel case and sophisticated silver dial with silver indexes. The focus of attention is its exclusive mechanical self-winding movement in partnership with Sellita that beats at a frequency of 28,000 vibrations per hour with a 38-hour power reserve. The diamond-polished balance wheel and skeletonized bridges ensure transparent visibility extending to the very heart of the watch. 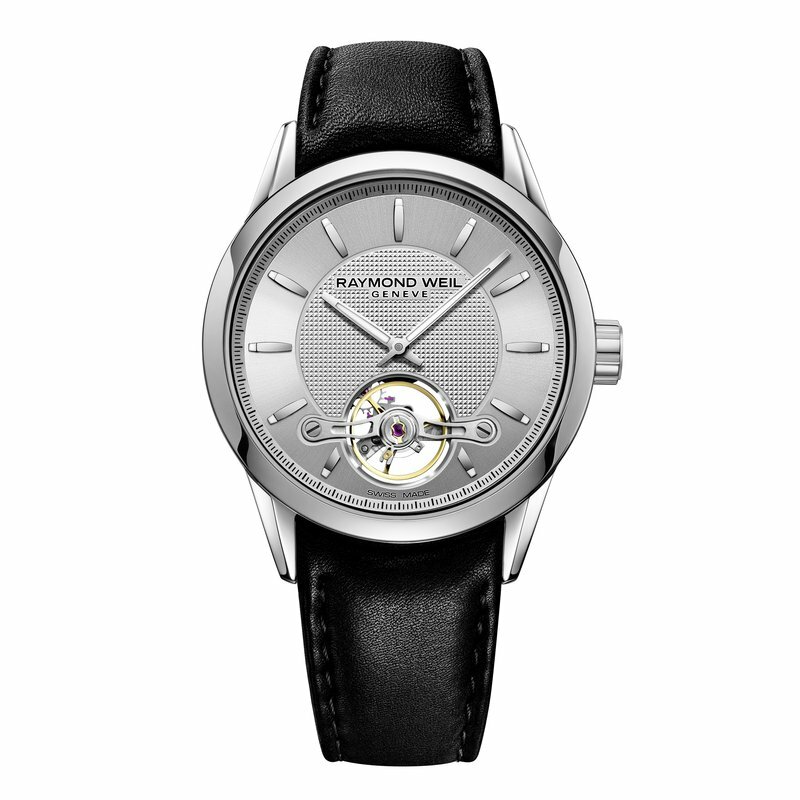 The First In-House Movement, Calibre RW1212. 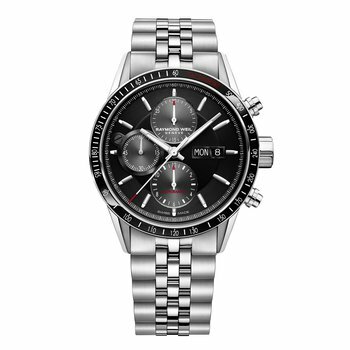 Aligning with the finest Swiss watchmaking traditions, RAYMOND WEIL is innovating by creating a new movement in collaboration with Sellita. 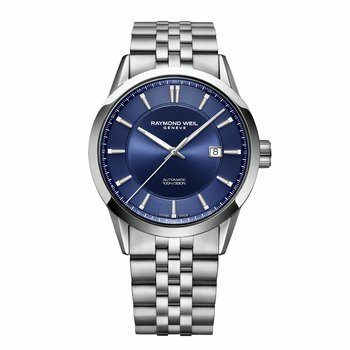 RAYMOND WEIL introduces a model with a boldly distinctive design, notably featuring an openworked dial revealing the regulating organ at 6 o’clock. The balance-and-spring assembly, held by a single bridge, reveals a construction echoing that of the most beautiful tourbillon regulators. 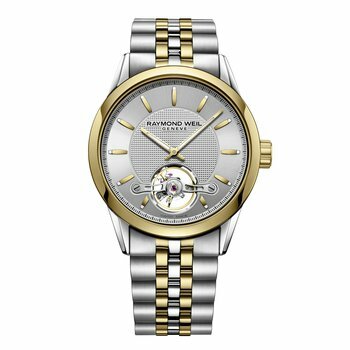 The freelancer “Calibre RW1212” is a two-hand model providing an understated display of the hours and minutes. Its oscillating weight is adorned with a “Côtes de Genève” motif and engraved with the RAYMOND WEIL logo. 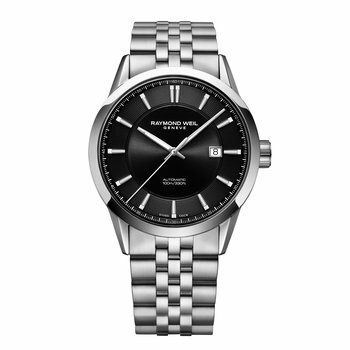 The movement is built in such a way as to showcase its beautiful mechanism on the dial side. The strategic organs positioned above the mainplate and the symmetry of the bridges accentuate the architectural nature of this elegant and beautifully balanced model. 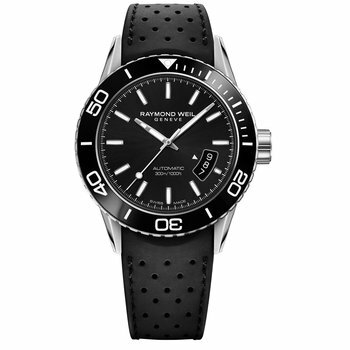 The freelancer “Calibre RW1212” comes in several versions, featuring a silver-toned or black dial teamed with a steel case and bracelet, or with a leather strap, as well as in two-tone variations featuring matching bracelets or leather straps. 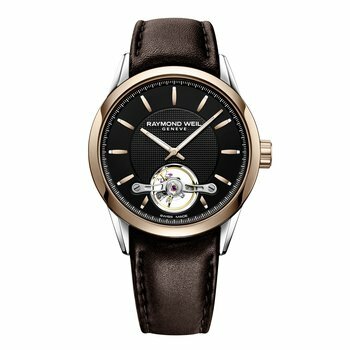 RAYMOND WEIL introduces a model with a boldly distinctive design, notably featuring an openworked dial revealing the regulating organ at 6 o'clock. The balance-and-spring assembly, held by a single bridge, reveals a construction echoing that of the most beautiful tourbillon regulators. 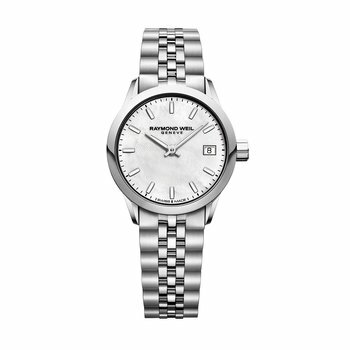 The freelancer Calibre is a two-hand model providing an understated display of the hours and minutes. 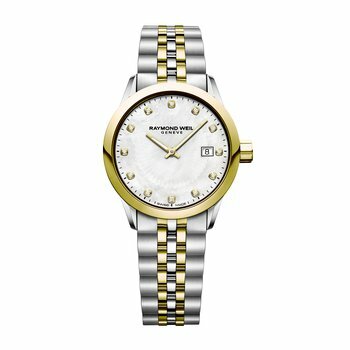 Its oscillating weight is adorned with a 'Côtes de Genève' motif and engraved with the RAYMOND WEIL logo. 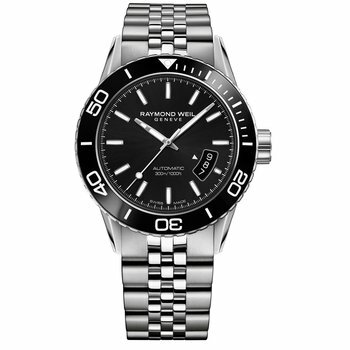 The movement is built in such a way as to showcase its beautiful mechanism on the dial side. The strategic organs positioned above the mainplate and the symmetry of the bridge accentuates the architectural nature of this elegant and beautifully balanced model. 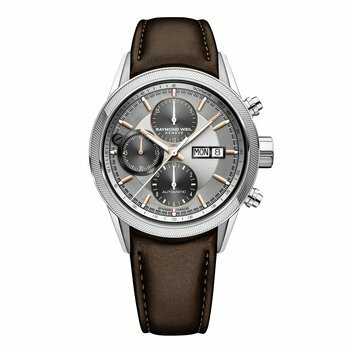 The freelancer Calibre comes in several versions, featuring a silver-toned or black dial teamed with a steel case and bracelet, or with a leather strap, as well as in two-tone variations featuring matching bracelets or leather straps.